Nuestro aceite corisco arbequina destaca por el color verde-oro. Tanto su sabor como su aroma son inconfundibles: excepcionalmente vivos, con alta intensidad aromática, con un ligero picor sin amargor. 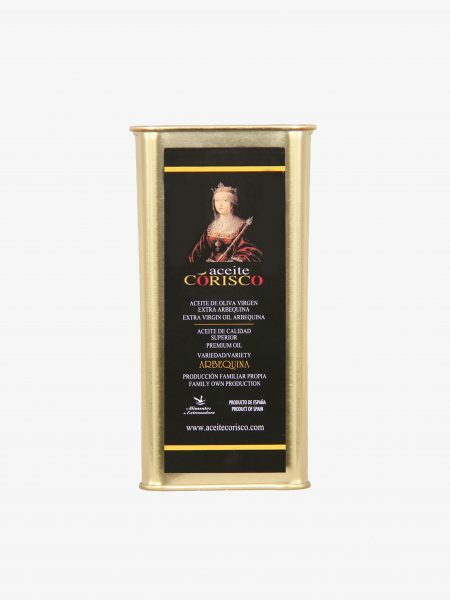 Our oil Corisco Arbequina stands out for the gold and green colour. Both his flavor and his aroma are unmistakable: exceptionally alive, with high aromatic intensity, with a light irritation without bitterness. 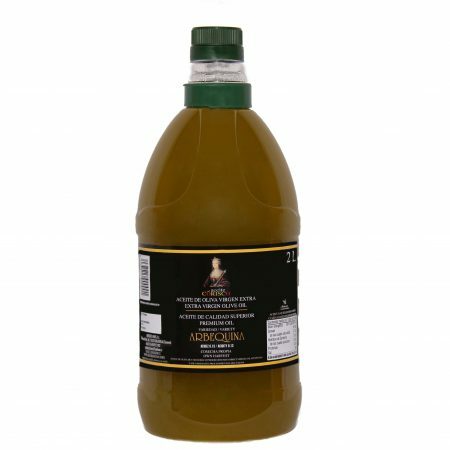 ACEITE CORISCO, al recoger la aceituna en verde con muy poca maduración el aceite obtenido es de muy alta calidad para los amantes del frutado muy intenso y con mucho cuerpo. Solo cultivamos y comercializamos una variedad: la ARBEQUINA (MONOVARIETAL). Una de las ventajas de este aceite es que tiene un sabor neto y bien definido. Cada variedad de aceituna tiene unas características y atributos diferentes. 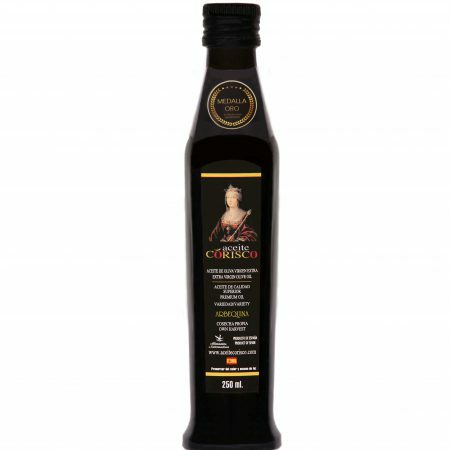 Es aconsejable probar los distintos aceites elaborados con una única variedad para así poder seleccionar los que más nos gusten para cada plato. Con mucha diferencia como dicen los catadores, la mejor es la arbequina. 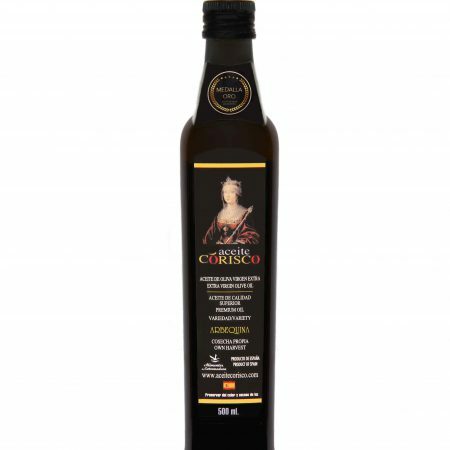 OIL CORISCO, on having gathered the green olive with few ripeness, the obtained oil is of very high quality for the lovers of the fruity, very intensely and with very much body. We proceed to the compilation for the traditional modality. This way of gathering the olive allows us to take care of the trees and the fruits avoiding to be struck. In October the olive changes green colour to dwelt (colouring) being the ideal moment to obtain the virgin olive oil extra Arbequina, with all his properties. elaborated with the only variety this way to be able to select those that more we like for every plate.